It has been a week since I completed Ironman Wales, and I have spent the week doing gentle walking, and a couple of swims. I haven’t really considered next year yet, but I have learned a few lessons from the race. The race itself was a fabulous day, the weather was perfect, the support on the course was incredible, and I would love to experience it again. 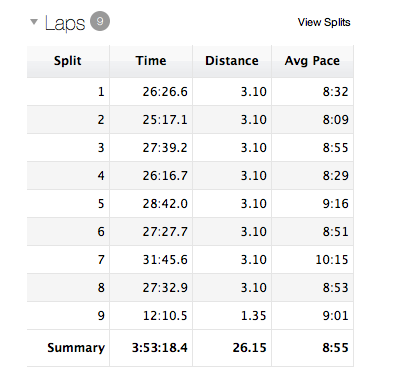 One of my pre race mantras was “through my race I learn”, so here I go… Overall I was really pleased with my result. 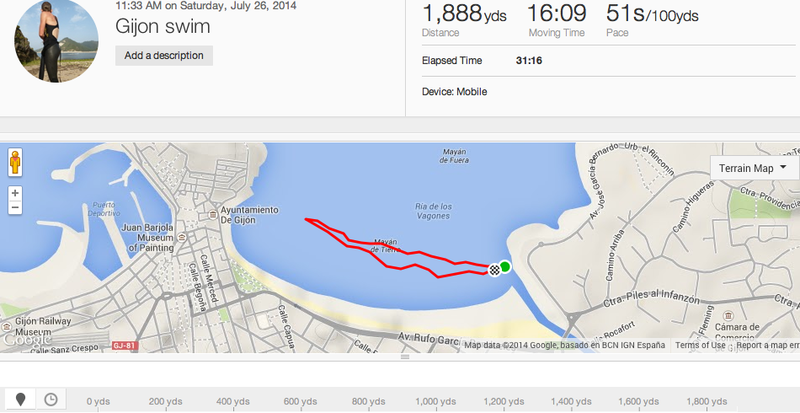 The swim was hard work, I knew I would be slower than hoped but I still came out in an OK time. I pushed myself on the bike, and stayed in the right power zones. What my power looked like. 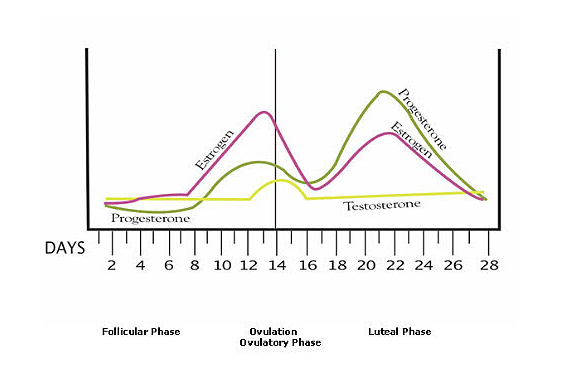 I still think my Variability index was a bit high, there were a few instances when I went way over threshold, but it was so hard to keep a lid on it when everyone was cheering and you are going uphill, however my V.I. was 1.08 compared to 1.11 at Wimbleball last year so I’m pleased with that. 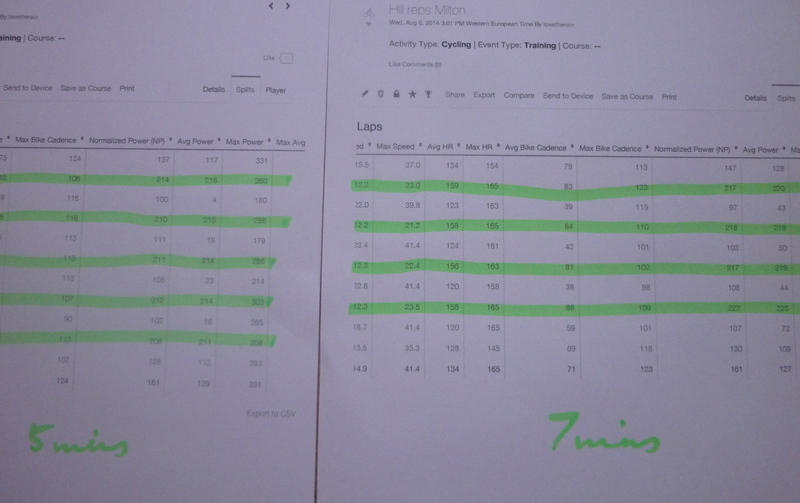 My intensity factor on the bike was .73, and it should be between .70 and .76 so that was spot on. Power graph, power dropped off towards the end, but not too much! 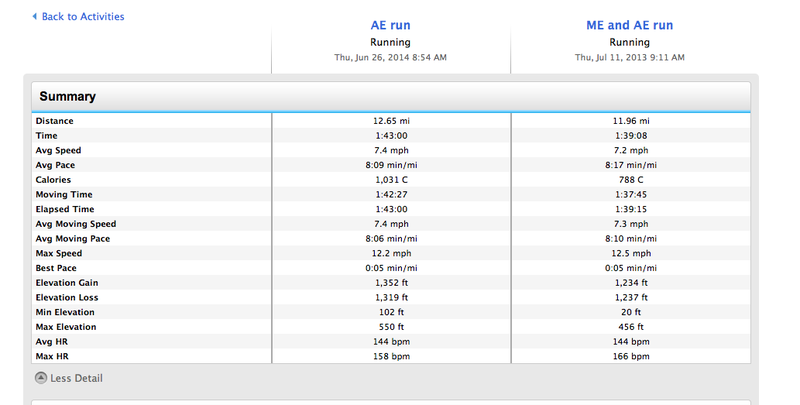 The run was OK, I had wanted to run about an 8:30 min mile, and thought I may be able to go quicker. You can see that I sustained it for the first 2 laps then didn’t manage to keep up the pace, my heart rate dropped, and I was just trying to keep going. When I finished I wandered around for a bit before realising that all I wanted to do was lie down. I ended up in the medical tent and had 2 drips. Looking back now I started to get a headache on the second lap of the bike from Carew to Cross Hands. I thought it must have been because I was tired, as I was still drinking and peeing. (I peed 4-5 times on the bike) I had calculated the liquids that I needed and I had enough water (7 bottles). I used electrolyte tablets in my water, but after a bit of research I may have lost too much salt. Next time I will pay attention to any headaches! And carry salt tablets. Saying all that I still had a brilliant day and was within my goal time, I did my best, and next time…..well I will learn from my experience! Spain, the good, the bad and the ugly. 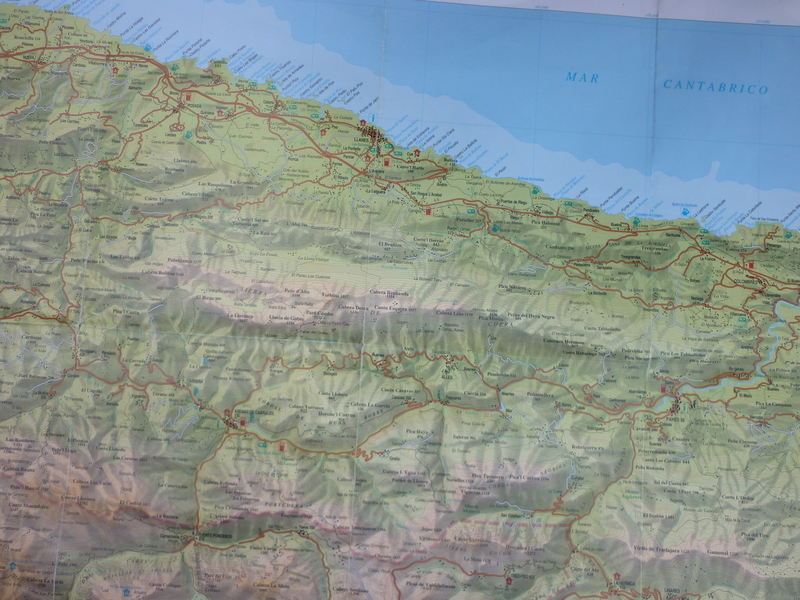 We have been to Asturias 3 times on holiday now, the area is lovely, and part of my reasoning to go back this year was that I knew a lot of routes that I could run or cycle without having to navigate too much. So it was less stressful for me in the run up to Ironman. Devons birthday, I managed to order a cake in my limited Spanish, and he requested “hiking in the mountains” as his birthday treat. Too many more good things to mention, and I came back to do my best ever hill session, averaging an extra 4-5 Watts per interval, and on longer intervals too! A change is definitely as good as a rest! 100 mile Welsh championships on Sunday with wind and rain forecast, good to be home! Last week was a busy one with the 4 up Time trial on Thursday evening and a wedding in Jersey at the weekend. The 4 up time trail was on Thursday evening an hour and a half away, so we left Pembrokeshire at about 4pm and were back home at about 10.30pm, which is a late night for me! Our team consisted of Mel, Clair, Kirsty, and myself, and we had practised a couple of times. 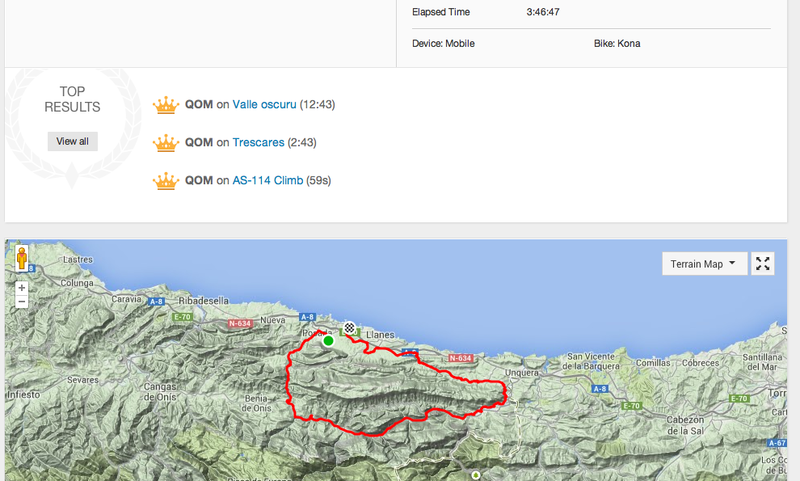 I had never done a Time trial like this before, but it was great fun. The first part of the course is mostly down and I think the wind was behind us. I was checking my speed and we averaged about 27.5 mph on that stretch, so I was feeling pretty good. As we approached the turn of I was at the front, and I didn’t want to peel of at the junction, so I stayed at the front for a bit longer than I would have liked and I could feel it on the way back, as I was watching our average speed drop going uphill and into the wind! spot when I was on the front! 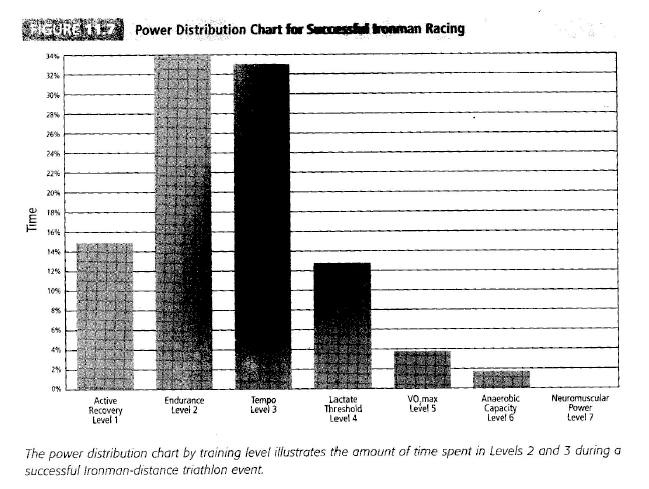 It is amazing how much easier it is at the back drafting, as you can see from the power graph above. 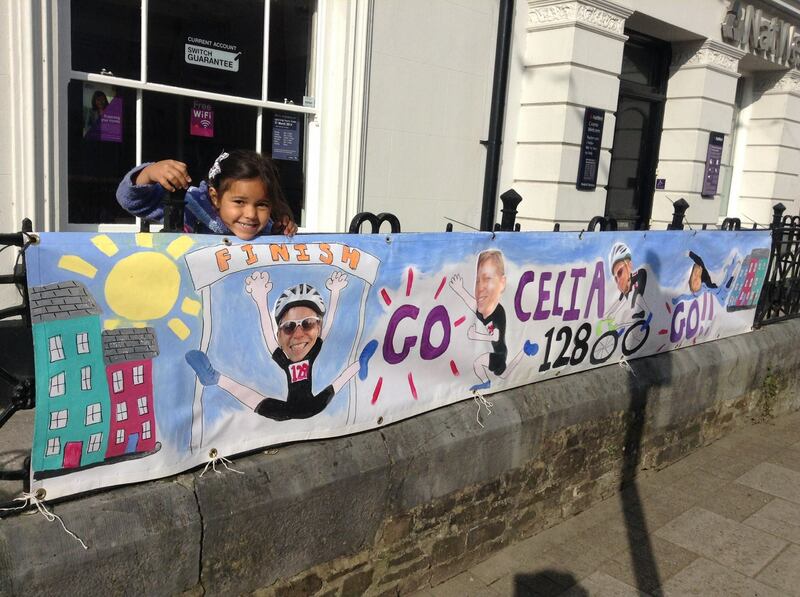 At the beginning I was desperate to get on the front, but by the end I was not looking forward to my turn so much! We beat the women’s Velo’s time by about 4 minutes so everyone was pleased with that. Results are here, we were the 3rd women’s team. On Friday we flew to Jersey for one of my husband’s friends wedding, we arrived there for a bbq overlooking the beach, the weather was fantastic, and it felt like we were on a holiday abroad, (I suppose Jersey is abroad!) On Saturday before the wedding Patrick and I went for a swim around the headland, although I think we went for a bit too long, as we didn’t warm up until we got back to the hotel, even though the sun was out! 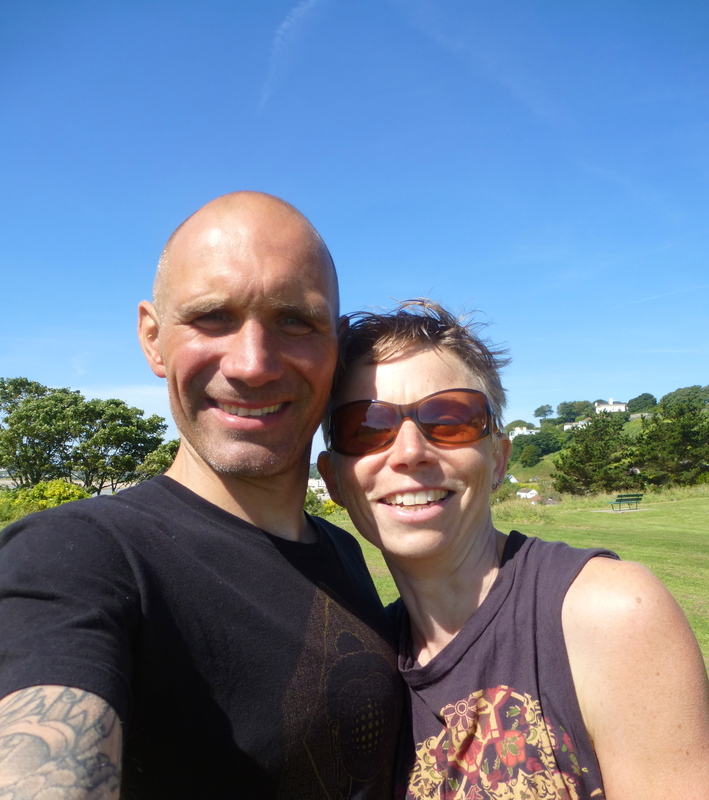 We then went out for a run, I had planned to do 3 minute anaerobic intervals, and I managed to persuade Patrick to do the same, I went a lot faster than I would have on my own, as I could hear him breathing down my neck!! 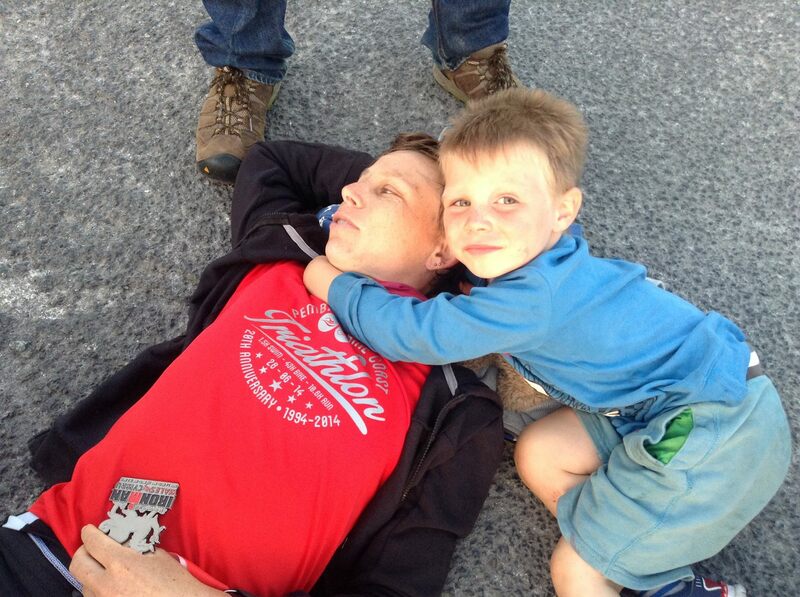 So I think he will be on fine form for the Long weekend half marathon, and will probably beat me! Anyway I’ll leave you with a picture of me and a postcard that we found in the pub! 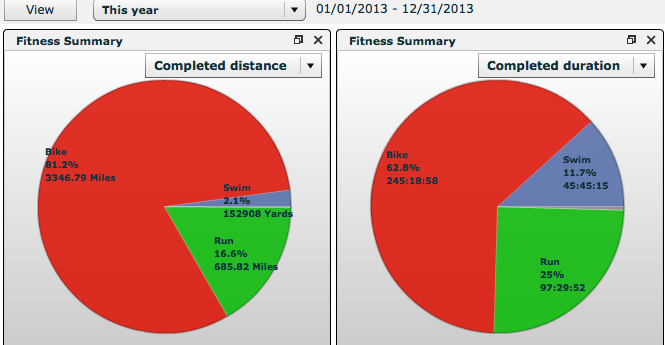 With 10 weeks to go until Half Outlaw, (:-o) I have been increasing the intensity of my bike workouts. Had a great turbo session on Thursday. (I never thought I’d say that!) I used a Sufferfest video for my intervals, but ignored their instructions and focussed on 4 sweet spot intervals with long recoveries. There was a bit of stupidness at the end when you were meant to attack on and off, which I did do, which accounts for my power surges at the end. I also managed to run for 30 minutes on Monday without pain in my knee, so I’m feeling a lot more optimistic on that front. I also had a good swim on Friday, getting a PB for 400m, what a great week. 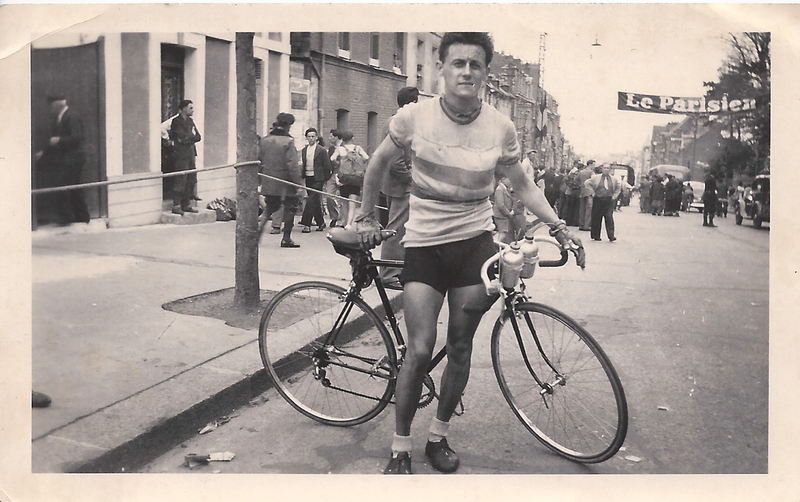 My mum found some old photo’s of my grandad which she let me scan in. 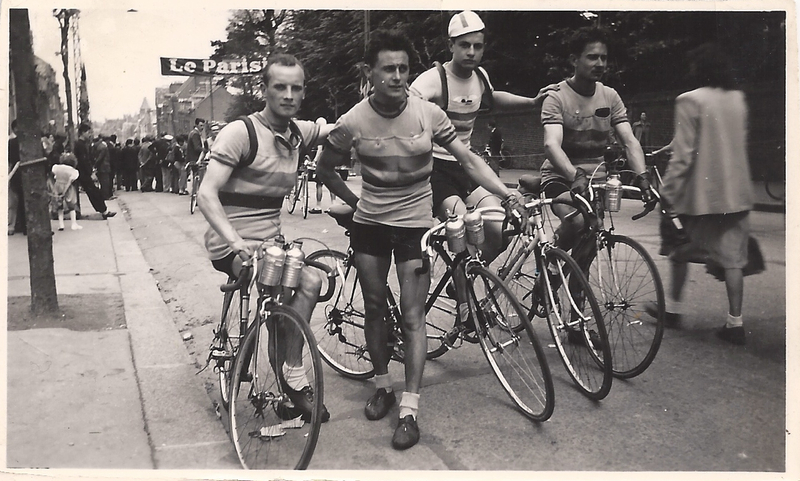 He was a cyclist, and died before I was born at the age of 49. He had the same birthday as me too, a bit of inspiration for me. 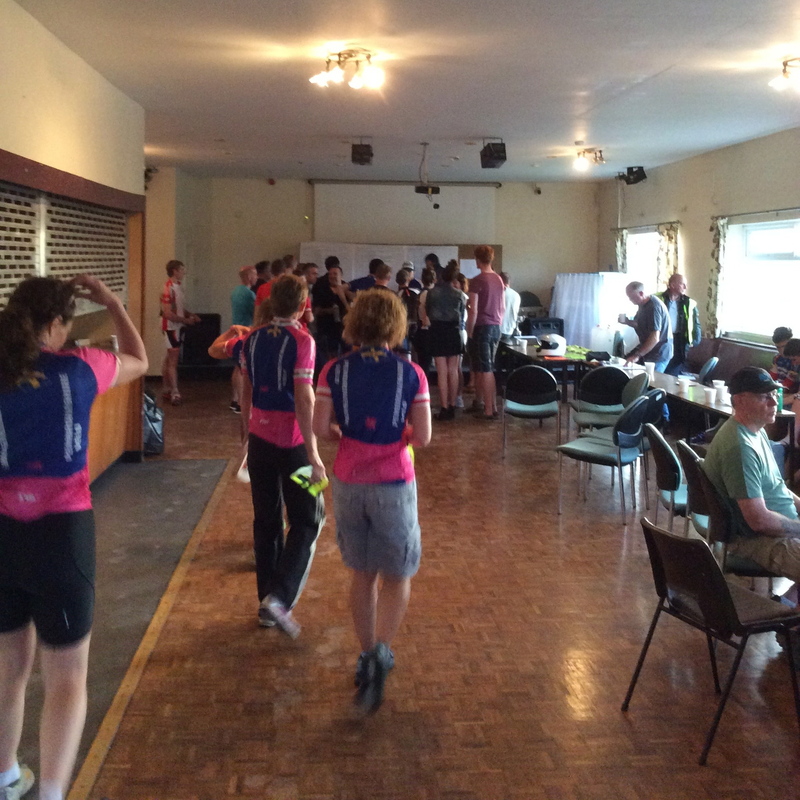 On Saturday I organised the first meeting of the Narberth Dynamos running group. We met up at Templeton airfield and did a couple of intervals at tempo, trying to keep the same pace for both intervals. 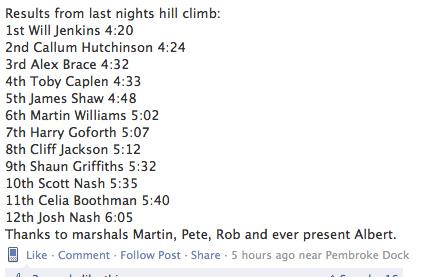 My volunteers did really well at pacing, and said they enjoyed it, so they will be back for some hill reps next week! I did the risk assessment for it a few days before, as you can see my Garmin is still going crazy, so I phoned Garmin, and they are going to send me a refurbished/new one, the only trouble is I have to send it back! Without data for a few days how will I survive? Its been a hard month, with a combination of the start of my knee niggling again, a bad cold, and a bout of food poisoning to contend with, mixed up with being away for 2 weekends on the trot and a trip to Baildon a few days after. I am feeling the strain, and so is my training. The weather isn’t helping either! I have been to see Kim down the road at Valley gate a couple of times, and seen some improvement in my knee. I have only run for 30 mins at a time for the last 2 weeks, so am a little worried that I won’t have much time to build up my distance again. 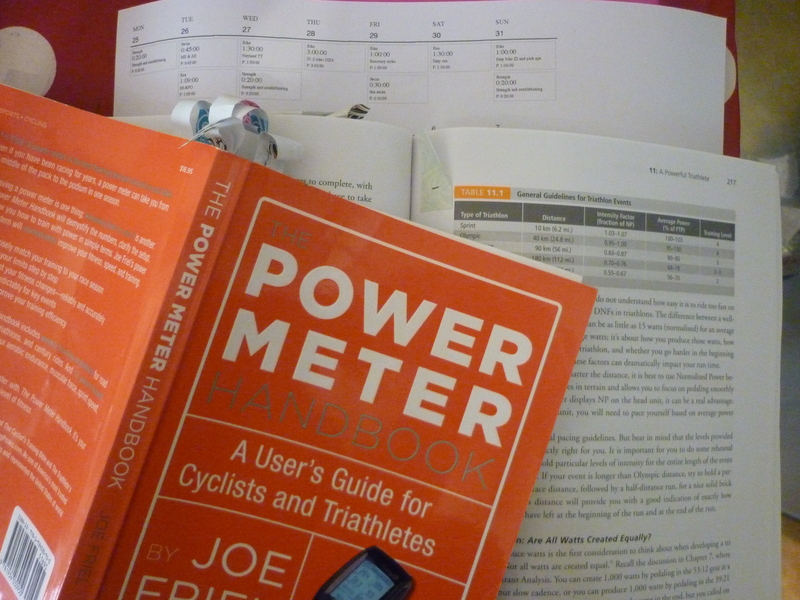 My power meter arrived on Tuesday, so back to the number crunching, and data woo hoo!! As its the New Year I have been thinking about the past year and what I’ve achieved, putting it into words affirms the successes of 2013 and gives me something to build on for next year. Firstly I upped my hours. I came 5th in The Slateman, and was then ill for a week after! 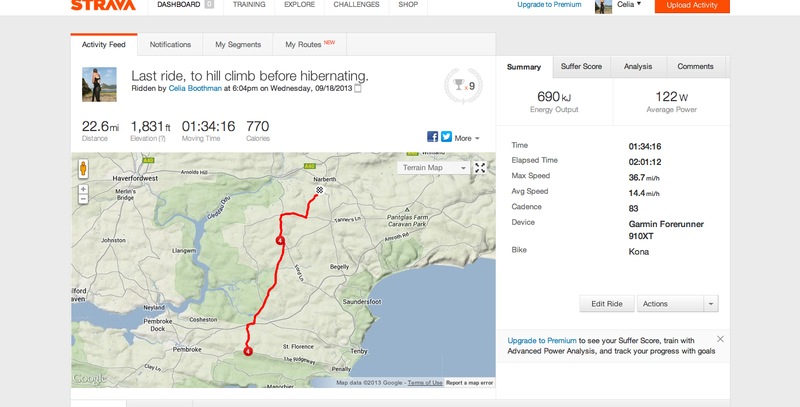 Completed my first 50 mile Time Trial, ouch…. Now that I have reflected on 2013 its time to put it away. I’m not going to compare myself to last year. I will be the best that I can be in 2014. So for 2014, I have only entered 2 races, Half Outlaw, and Ironman Wales. I will probably do a bit more Time Trialling, and strangely would like to do a 50 mile one again, (my memory of the last one must be failing me!) Also I have entered The Tour of Pembrokeshire, and I’ll probably do part of the long course weekend, so I’m looking forward to a good year ahead. 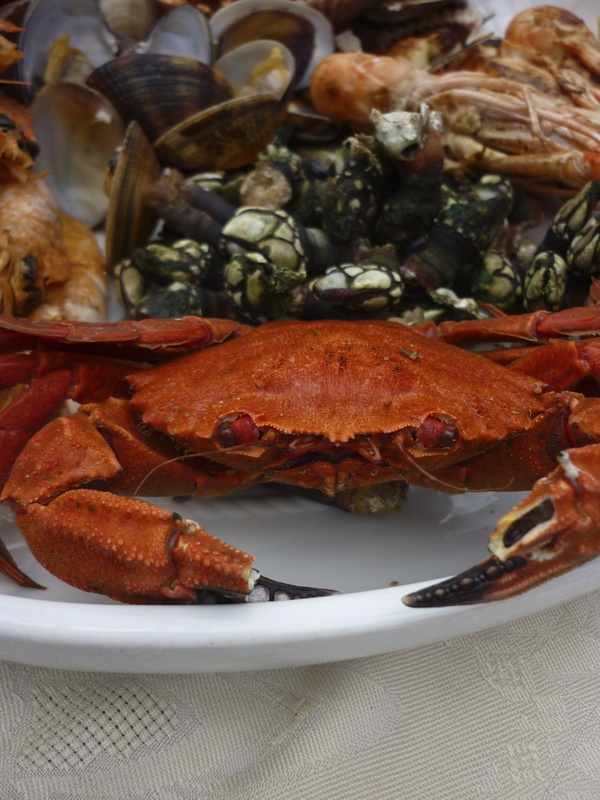 New Year is traditionally a time to make resolutions. Personally I don’t like making resolutions in the New Year. I can make a resolution any time that I want to, and I think a lot of people set themselves up to fail with unrealistic, and unsustainable goals, which are often negative e.g. “I’m going to give up chocolate, alcohol, smoking etc”. Then when they fail they give themselves a hard time for failing, instead of creating a positive sustainable goal, for example, “I am leading a healthier lifestyle”. Its not something that will happen overnight, and every day is a step towards the goal, but gradually we can make changes in order to become that goal. Sometimes I look at where I am now and realise it is because of these small changes that add up to the big picture. Its a great feeling. At that point I will stop, as I know there are lots more I’d love to do…. 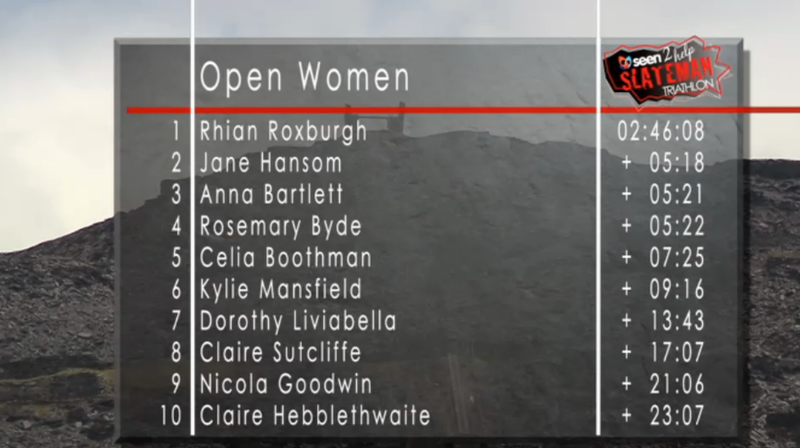 Pretty sure I did an xterra sprint event at Resolven, but can’t find the results, and an off road Duathlon at Margham park which I was 2nd female in. Must have done something else this year, but can’t remember! 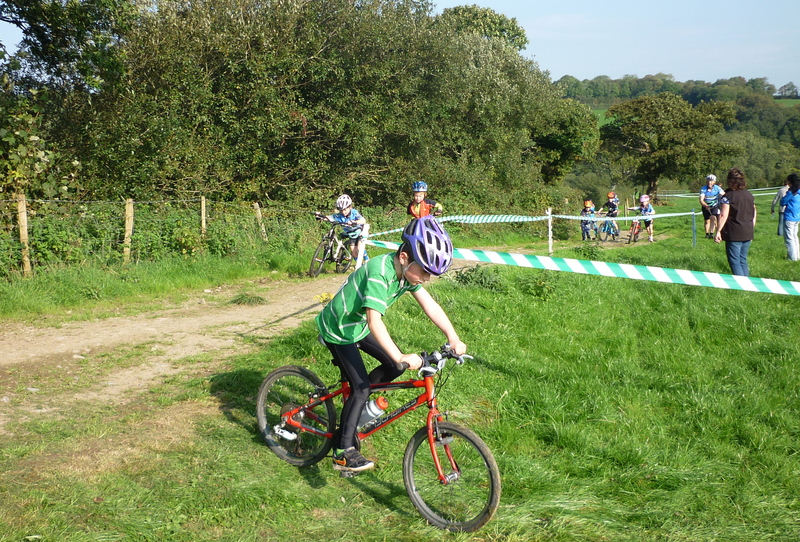 Completed my assessment in Carmarthen and passed, so very pleased with that, and then had some fun doing cyclocross with the family on Sunday at Clerkenhill. The sun was out, so we had a lovely day, and all managed to have a race. 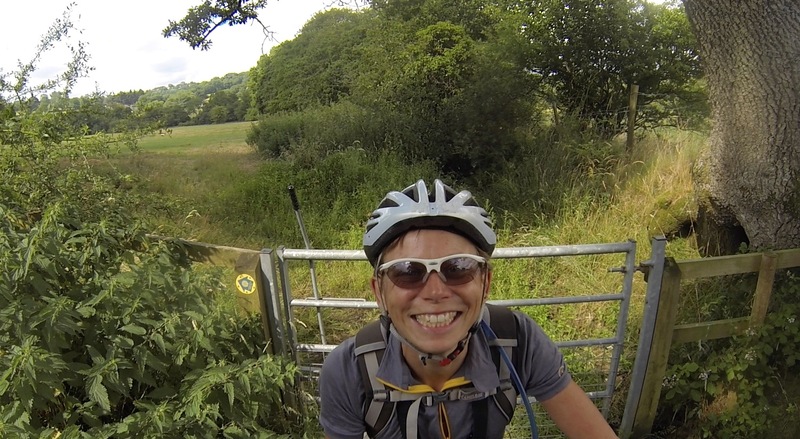 On Thursday I had a go at the short Ironman loop to see how fast I could go with a relatively easy effort. It was pretty windy, thats my excuse anyway, and also not being on the bike much recently. Theres a lot of work to do before next year, but I’ll leave it for now!! 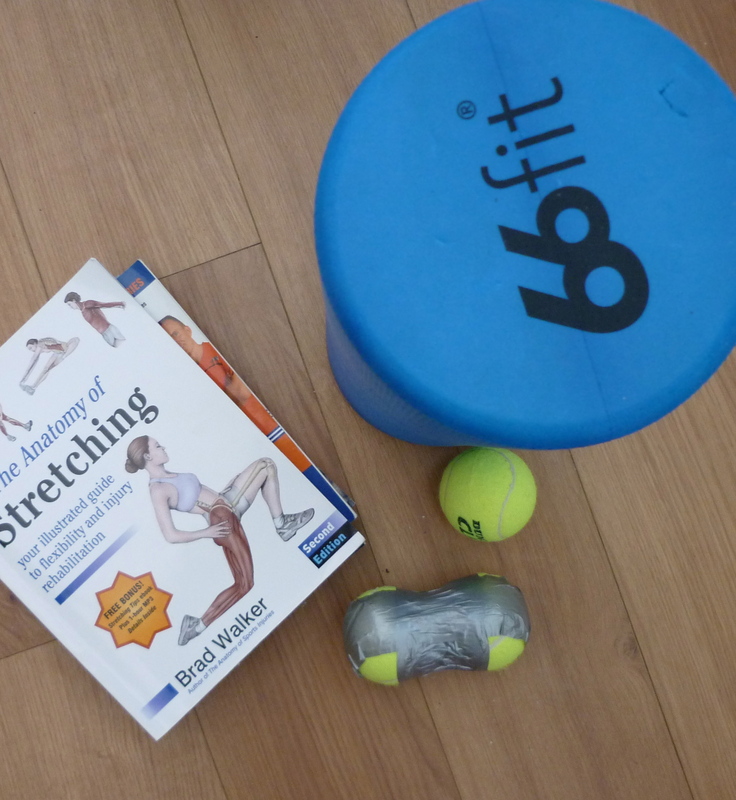 After feeling pretty negative last week I have started to adjust to the change in season, and my loss of fitness. 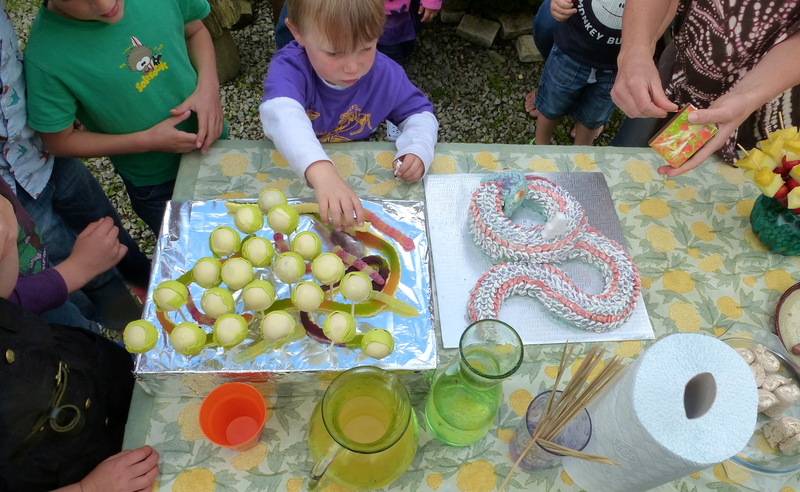 I have had my level 2 coursework to complete, and also Milo’s birthday to sort out, so I’ve been busy with that. Also I have been running, cycling and swimming WITHOUT my garmin!!! Its been good not to have any pressure and I still need more time to recoup before next year. 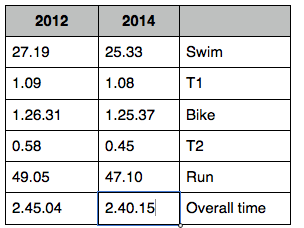 I made some progress planning next years training, and have also looked at areas that I can improve upon. Having the last race of the season as a DNF has focussed me a bit more on what I need to work on. 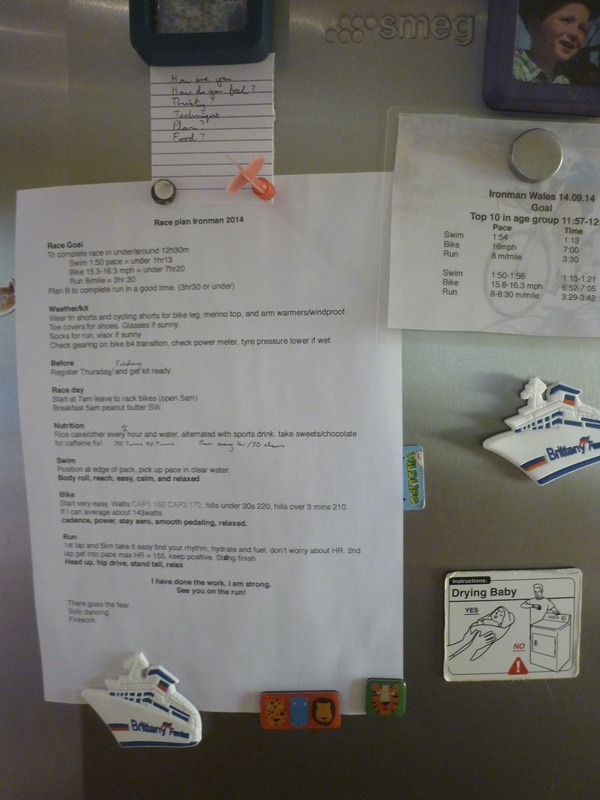 I now have a list of strengths and weaknesses, and action points! Got back into some baking, and chutney making, and have experimented making idli, (if you don’t know what they are the link is here) which I am now addicted to, I think they would be great snacks to take on long rides, so I am perfecting making them! I spent all of Wednesday contemplating whether to do the last velos hill climb. At 4pm I was about to go out on a ride on my own, when I changed my mind and decided to go after all. 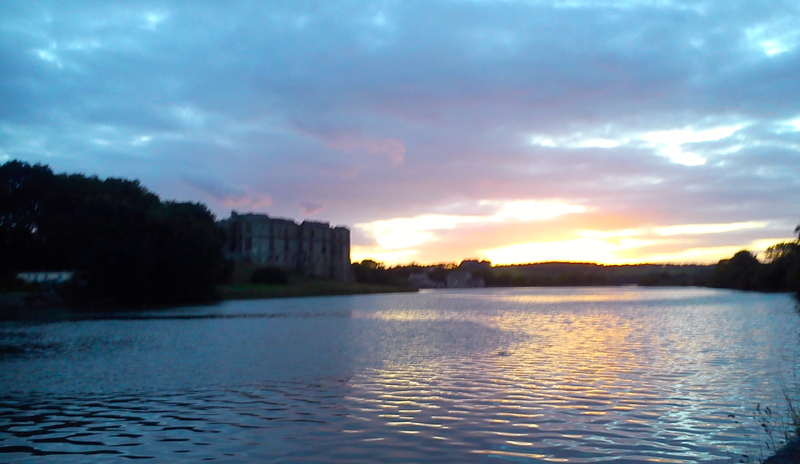 I cycled there and back, it was a lovely way to close the season, getting back in the dark, and seeing the sun set behind Carew castle. I took a wobbly photo with my phone….you get the idea! I didn’t get my best time, but enjoyed myself, although I couldn’t stop coughing afterwards. I took my garmin, but had no power or Heart rate data, so was all good!